" I have been working with Ideogram Design on a number of occasions since 2010 when we organised our first customer event. They have delivered such an impeccable service and demonstrated both reliability and flexibility that they have almost become a pre-requisite for our events communications. Their expertise in a wide range of multi-disciplinary activities allows us to work with a prime agency that delivers all the communications materials we need: from a professional-looking event website and customised emailings, all the way to printed collateral and banners. They also develop dedicated tools and user-friendly administration sites that ensure a seamless collaboration and a useful level of autonomy on our side as well. The whole teams pays careful attention to detail and customer service, to the extent that they pro-actively correct some typos or spelling mistakes... A definite value-add coming from a marketing and communications agency. 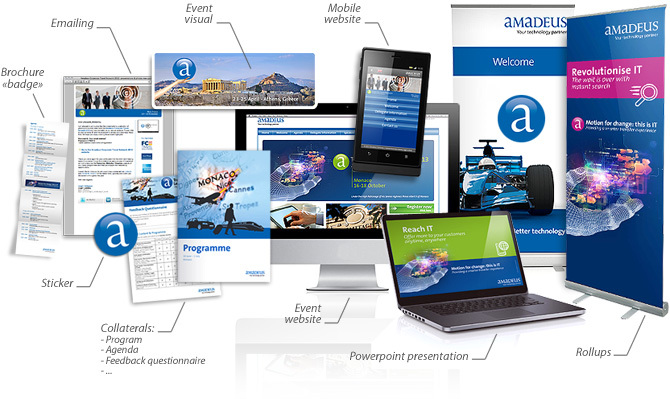 Since 2010, I and my team at Amadeus have worked with Ideogram on no less than 8 of our most important customer events: they are truly a trustworthy marketing partner! "